Brining your newborn home is a big deal. Whether this is your first child or your fifth, welcoming a new baby is one of life’s most miraculous experiences. It’s a time filled with the deepest, fullest love you can feel, plus a sprinkle of exhaustion and overwhelm. Every moment of those first weeks is filled with healthy doses of awn and wonder at this new little person. And then, before you know it, it’s over. Just like that. Though those early days will often feel pretty long, newborns grow insanely quickly. In the blink of an eye (really, about two or three weeks), their “newbornness” is gone, and a you’ve got a full-fledged baby on your hands. In that brief time, your family has settled into a rhythm and your story has changed. You’re on to the next chapter. You have about two weeks, perhaps a teeny bit more, to start telling her story from the its very beginning. I help you tell your baby’s story from the beginning. Through a combination of gorgeous, traditional portraits and candid photographs of real moments, we’ll capture all the important details of the special time. Your session is a completely customized experience that can include not only parents, but also siblings and grandparents. The results are not just beautiful photos of your baby and family, but also a catalog of your most treasured memories of this wonderful yet fleeting time. I promise that when you look at the images weeks, months, years, or even decades later, you will remember both how beautiful and special this shared time was and even see things you may have missed. But more importantly, you can show your baby the beginning of her story. And another thing. I want this to be easy for you. I’ve been there. And by that, I mean I’ve brought home four babies. And the last thing I needed was another thing to plan or manage. That’s why when planning sessions, I make sure that there’s nothing for you to do except take care of your newborn. I take care of everything else. *Please note that no digital files, prints, or products are included in this option. They are purchased from my a-la-carte menu. HAVE YOU CONSIDERED A FRESH 48 SESSION? Fresh 48 sessions are newborn hospital sessions that take place within 48 hours of your baby’s birth. 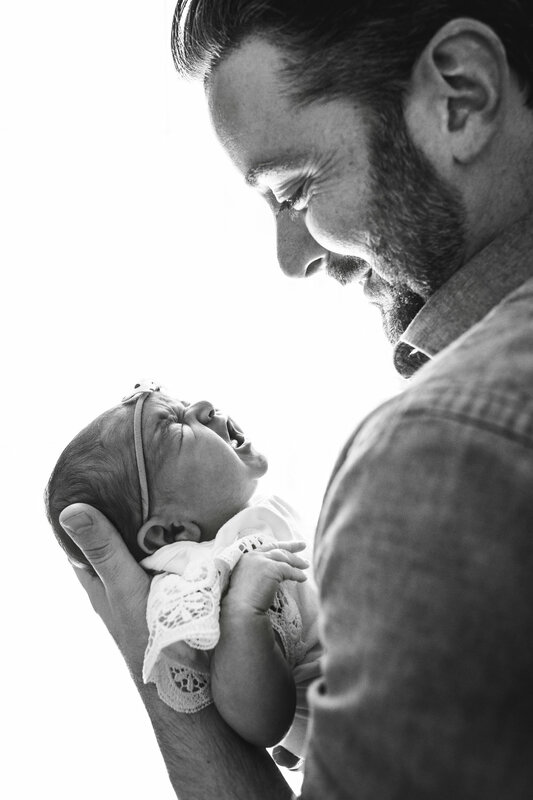 They capture your baby’s very first photographs along with all the little details of the incredible, life-changing experience of her birth.